One of my clients posts often about her Plexus business and I love watching her help other women live a healthy lifestyle. Plexus recently reformulated their Plexus Slim drink. You may have heard this referred to as the "pink drink". And, it's just that! I received a sample of the old and new formulas to try. The older version tasted similar to a fruit punch or cherry flavor. The new formula Tasted more like a raspberry lemonade with a hint of watermelon. I enjoyed both samples, but liked the new version a bit better. It was more "summery" to me, too. I don't like drinking my calories. This drink has only five calories and includes no artificial flavors, sweeteners or colors (despite the color). It is 100% vegetarian and gluten-free. I've seen so many clients and friends posting about this "pink drink". So I admit - I was curious. Plexus slim has been clinically demonstrated to help you lose weight. Unfortunately, I haven't tried it frequently enough to see the benefits yet. It also promotes gut health and a healthy glucose metabolism. Did I mention there is a 60 day money back guarantee? 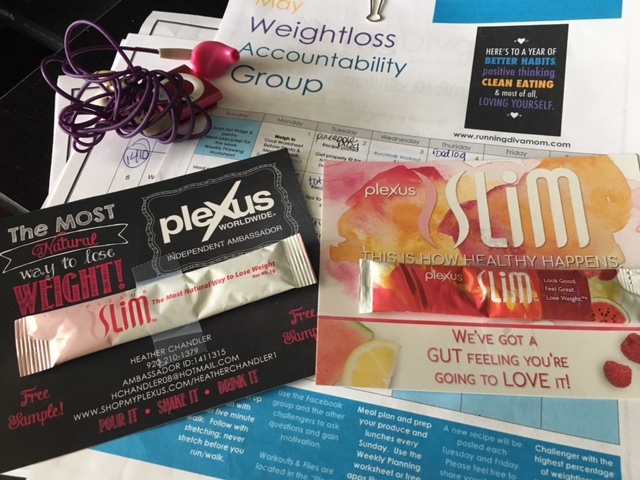 Feel free to shop Slim and other Plexus products on Heather's website or reach out to her for additional information regarding Plexus products. Join Jamie Adcock, Madison's Running Diva Mom, and Katie Flottum, Certified Yoga instructor, for a unique fitness experience on Wednesday evenings. Groups will rotate four different parks and trails in Sun Prairie. Class will begin with a thirty minute run or walk at your own pace on local trails and will end with a thirty minute yoga and stretching session at the park. This will be a fun, encouraging and motivating atmosphere and all ages, abilities and fitness levels are welcome. Absolutely no running or yoga experience is necessary. If you are interested in starting your fitness journey or meeting some new women in the area this summer, then this session will be perfect for you. Paid children 10 years and up are welcome to participate. Please bring a yoga mat/towel, water bottle and stop watch. A full class schedule with park locations will be provided to participants mid-July. Please email me at runningdivamom@yahoo.com if you would like to avoid the Eventbrite fee. Parks/locations will rotate in Sun Prairie, Deforest and on Madison's Eastside. Class starts on Sunday, July 30 at 7:00 am. Must be able to run/walk two twenty minute intervals at first class. 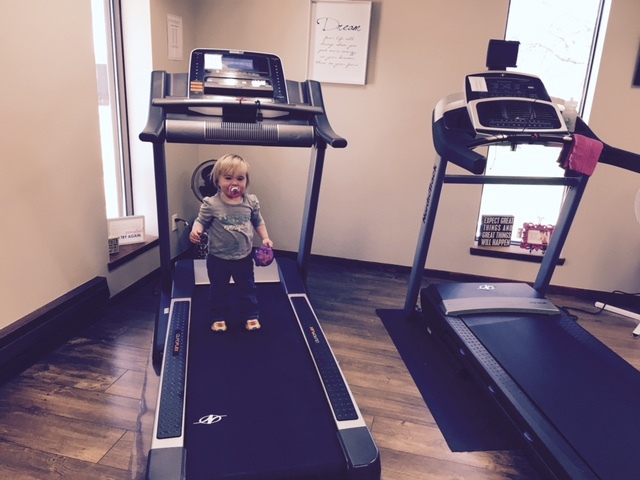 We will be training for the Haunted Hustle Half Marathon on Sunday, October 22. Runners are also welcome to choose other fall half marathons, including the Milwaukee Marathon Half on October 15. This race is optional and is not included with your session registration. If you are interested in avoiding the processing fee, please reach out to runningdivamom@yahoo.com to pay by check. Class starts on Wednesday, July 5. First class will meet at Orfan Park in Sun Prairie. 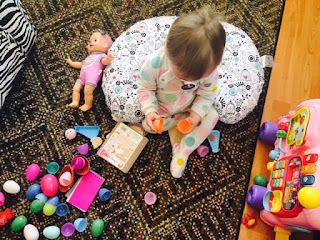 Class meets for eleven weeks at 7:00 pm on Wednesday evenings. (Exception: Thursday July 13 instead of July 12) A full training program with locations will be sent to participants during the week of the first class. Must be able to run/walk 30 mins at first class. If you are interested in avoiding the processing fee, please reach out torunningdivamom@yahoo.com to purchase your session by check. We will be training for the Zoo Run Run 10K in Madison on Sunday, September 24. This race is optional and is not included with your session registration. Participant with the highest percentage of weightloss will receive a FREE ENTRY into the July accountability group. 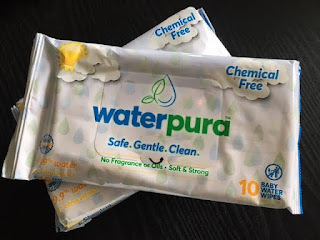 I was sent several packs of chemical-free WaterPura baby wipes to review. WaterPura baby wipes are made in the USA and contain 99.9% water and .1% citrus extract. These wipes include absolutely no fragrance or oils. They are completely chemical-free. They state that they are soft and strong and I agree. 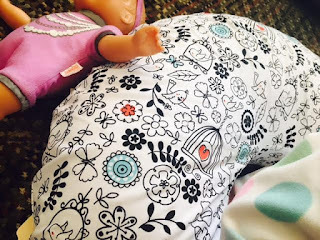 These were much softer than the typical brands and store brands that I buy for my daughter. 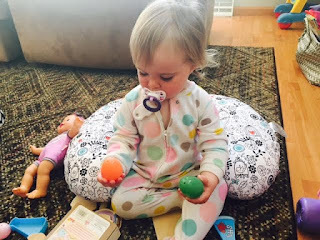 She is starting to get fussy about diaper changes. These wipes were developed by another mom, whose son struggled with diaper rash and sensitive skin. These are very similar to the soft cloths and water that she used on her own child. It’s now been six months since I first opened the doors to my indoor running studio for women. Last fall, I was a little (ok, a lot) scared about the ongoing financial commitment, worried about rejection and lack of interest, and concerned about the time commitment and logistics that go along with making something like this successful (while having three active children and a supportive husband at home – not to mention a day job). But, it has been an amazing blessing for me and my family. The studio has been a huge turning point for my business. Typically I would slow way down with coaching over the Wisconsin winter months – or even stop. But I was able to coach 10-15 sessions per week over the winter and help keep my clients motivated and working toward their goals. My studio also kept me moving and physically fit. My weight and fitness level is right where I left off with marathon training last fall. I am currently way beyond where I projected I would be with my business by the end of 2017. With seven months still ahead of me – I can’t wait to see where the studio and my drive are going to take me professionally. Personally, individual private sessions have offered my clients and I so much. It’s been truly wonderful getting to know each client individually and touch base privately on their workouts and on life. I truly value the friendships, connections and trust that have been formed between us. Last fall, I also took the leap into online weight loss challenges and accountability groups to help supplement the fitness access of my business. This has allowed me to connect with a new set of clients that are seeking my accountability in a different way. I’ve had other ideas and class formats that have been tested and been unsuccessful. But, I’m still learning every single day about what my clients want and need. I am already booking out through fall for private sessions and classes. I’m trying to stay true to me and my “brand” and my studio space. I want both to reflect me and who I am, while supporting my clients. Authentically. I’m excited that we are quickly growing out of my current space (a stepping stone – yeah! ), and hope to move into a new, inspiring space later this fall. What all started with a teeny tiny blog in 2009 has now grown into a local movement, outlet and space for women – all shapes, all sizes, all goals.